This year’s main objective at the event was to consolidate the existing London and Manchester flights as well as seek other alternatives from regions such as Holland and Finland. The 37th World Travel Mart (WTM) in London was the perfect backdrop for the Riviera Nayarit and Puerto Vallarta to reconfirm the continuity of the successful London and Manchester flights to the region with the full support of the Mexico Tourism Board and the Secretary of Tourism. “The main objective was to show TUI-Thompson how important the UK flights are for our destinations and our federal authorities, as well as to highlight the success they have had from the very start,” said Marc Murphy, Managing Director of the Riviera Nayarit Convention and Visitors Bureau. The twice-weekly direct flights from London and Manchester have been very popular since they began in May 2014; however, the destinations continue to seek to increase the amount of European tourists via business appointments that would connect visitors from Finland and Holland to the regions. To that end, the team met with Timo Vurmer, Product Manager for tour operator Aurinko, to continue negotiations for a direct flight from Helsinki, Finland. They agreed the flight would be confirmed by December 2016 and it would go into effect for Winter 2017. Another important aspect is the continuing negotiations with TUI-Netherlands and Aeroméxico to bring Dutch tourism to the region. There were discussions regarding the possibility of using an existing flight from Amsterdam to Mexico City to connect to this region of the Pacific. 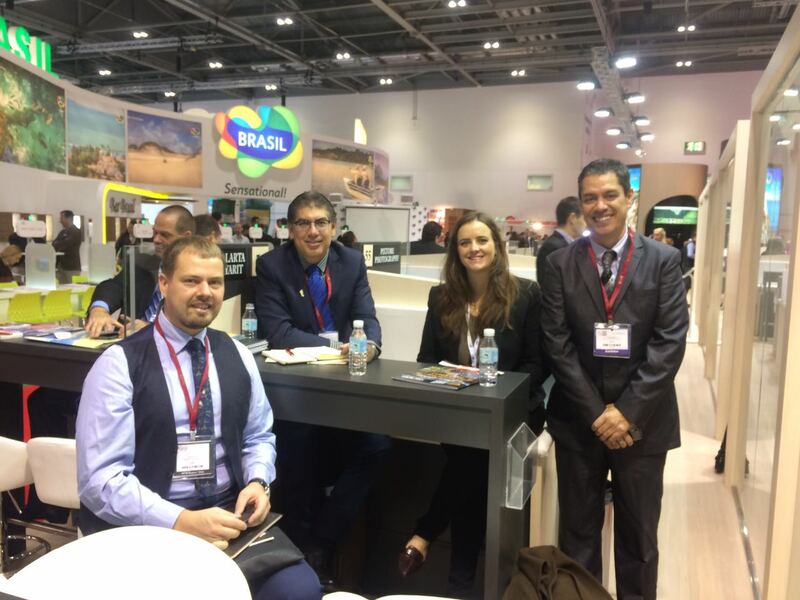 The WTM took place from November 7-9 with the participation of 4,600 exhibitors from 186 regions worldwide and more than 50 thousand attendees, which makes it one of the largest and most important of its kind. It generated 865 thousand business appointments and $3.6 billion in contracts.